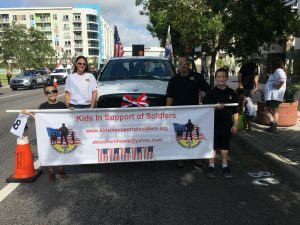 Kids In Support of Soldiers was happy to participate in the annual Veterans Day parade in Downtown Orlando. 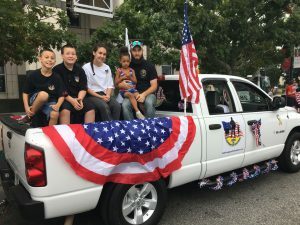 Lots of people filled the streets of downtown Orlando to celebrate and honor those that have served and protected this great country. 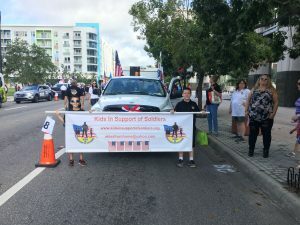 Shawn & Holly Ebert, Skip & Jane Colbert, Jesse and Jade Roberts, Donna Roberts, Julie Proctor and Harold Bailey all represented the K.I.S.S. organization, handing out candy and K.I.S.S. information and goodies to the people along the route! !